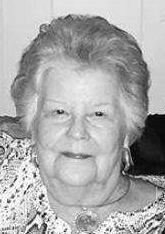 Virginia Earlene Oller was born on May 11, 1935, in Duncan to John Earl "Dukie" and Gladys Payne. She passed away on Tuesday, January 22, 2019, at the age of 83. Virginia graduated from Bray High School where she played basketball. She married Alva James Oller in 1991 in Wichita Falls, Texas. He preceded her in death in 2016. She was a homemaker who loved to decorate and cook. She also enjoyed shopping and traveling. She dearly loved her children, grandchildren, and great grandchildren. Virginia is survived by her children, Jenny Jamin and husband David of Enid and Ricky Payne Strain and wife Claudia of Ada; grandchildren, Ricky P. Strain II and wife Melissa, Nikki Bunn Jones and husband Bobby, and Bill Bunn III and wife Olivia; great grandchildren, Austin Strain, Caleb Strain, Lauren Ann McDaniel, Laney McDaniel, Bill Bunn IV, Wyatt Bunn, and Tsyrus Neumann. She was preceded in death by her husband Alva James Oller; parents, Dukie and Gladys Payne; and brother, Tommy Powell Payne. Memorial contributions can be made in her memory to the Taylor LeNorman Cancer Center, 2110 Duncan Regional Loop Road, Duncan, OK 73533.